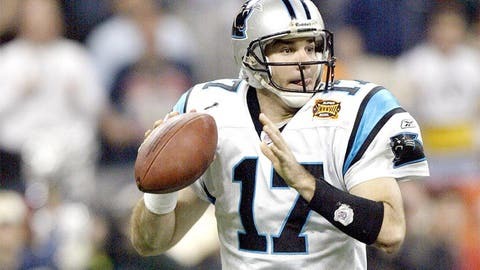 Remember the last time the Carolina Panthers started 4-0? The Carolina Panthers are off to an incredible start to the 2015 season, and the last time they started 4-0, it resulted in a Super Bowl appearance. There’s an obvious vibe of excitement surrounding the Carolina Panthers this season. That will happen after you start 4-0 and have played around three and a half of those games without your star linebacker. Even without Luke Kuechly, the Panthers are rolling right along, sitting undefeated and going into a bye week to help them get healthy. The question is, does anyone remember the last time the Panthers started out 4-0? As Gil Brandt of NFL.com reported, it wound up as their most memorable season in franchise history. Here’s to hoping for a repeat performance in 2015.